time Reserve open to the public 7am-6m. Guided walks: 2nd & 4th Sun of the month from Sept-April starting 8am & May-Aug starting 9am. This is a great family outing. 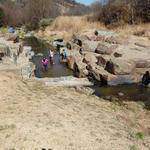 There are six hiking trails in the KNR, varying in degrees of difficulty -- from 2-8. The reserve is open to the public daily from 7h00 to 18h00. It is recommended that you join the guided walks provided by the association. They take place on the second and fourth Sunday of each month. Walks last approximately 3 hours. These walks start at Silent Pool, Frandaph Avenue, Mondeor. Guided walks can be arranged at any other time for groups of more than 5 people. Sundowner and moonlight walks can also be arranged. Call Tony Ferguson on 082 454 6114 for further details. Click here for more Klipriviersberg Nature Reserve Events. 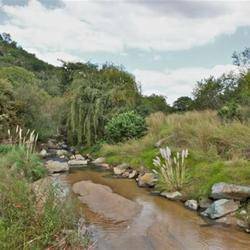 Situated a mere 10 Km from the centre of Johannesburg, 15 Km from Sandton and easily accessible from the East and West Rand, the Klipriviersberg Nature Reserve is truly Johannesburg's Jewel of the South. The Klipriviersberg range dominates the northern part of the reserve and the ground slopes sharply to grasslands in the south. A perennial stream that flows from north to south bisects the reserve. The stream flows into the Klip River near Eikenhof. There are many items of archaeological, cultural, historical and geological interest in the reserve. There is a wide variety of fauna in the reserve including larger game such as zebra, red hartebeest, black wildebeest, blesbok, springbok, mountain reedbuck and Duiker. Over 170 species of bird life has been identified. 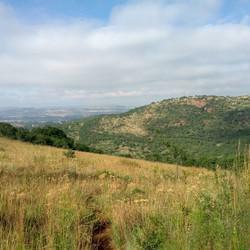 The area was declared a nature reserve in 1984 after the land had been bought by the Johannesburg City Council in 1939. Johannesburg City Parks is responsible for the management of the reserve. The Klipriviersberg Nature Reserve Association, an 800 member strong interest group, works closely with JCP in managing the area. Some of the mammals found in the reserve: Porcupine, Hedgehog, Scrub Hare, Slender and Yellow Mongoose, Small Spotted Genet, Tree Squirrel, Grey Duiker, Black Backed Jackal, Cape Fox, African Civet, Cape Spotted Otter, Cape clawless Otter. Black Wildebees, Zebra, Blesbok, Red Hartebees and Springbok were recently introduced into the reserve, together with some Duiker and Mountain Reedbuck. Reptiles which may occur in the Reserve: Frogs. Snakes: Brown House Snake, Mole Snake, Ringkals, and Highveld Garter Snake. Numbers fluctuate due to availability of food and the effect of climatic conditions.